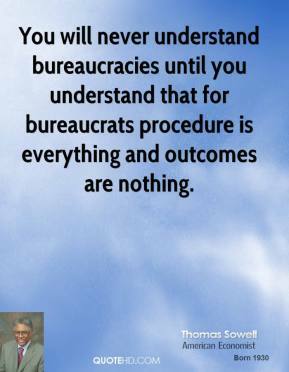 No matter how disastrously some policy has turned out, anyone who criticizes it can expect to hear: "But what would you replace it with?" 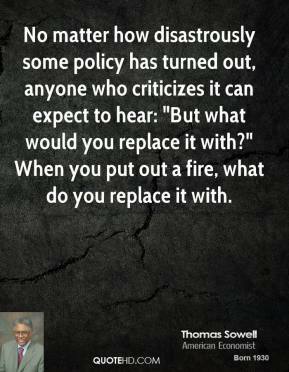 When you put out a fire, what do you replace it with. 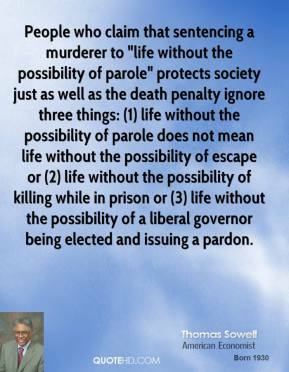 People who claim that sentencing a murderer to "life without the possibility of parole" protects society just as well as the death penalty ignore three things: (1) life without the possibility of parole does not mean life without the possibility of escape or (2) life without the possibility of killing while in prison or (3) life without the possibility of a liberal governor being elected and issuing a pardon. 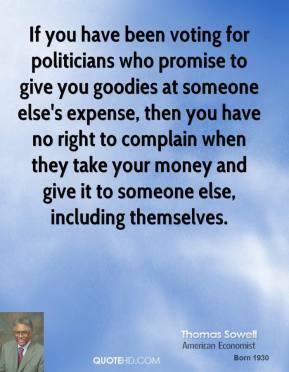 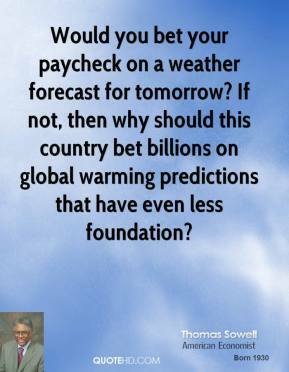 The assumption that spending more of the taxpayer's money will make things better has survived all kinds of evidence that it has made things worse. 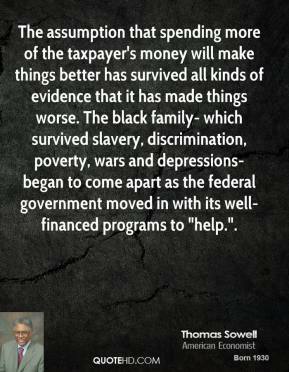 The black family- which survived slavery, discrimination, poverty, wars and depressions- began to come apart as the federal government moved in with its well-financed programs to "help.". 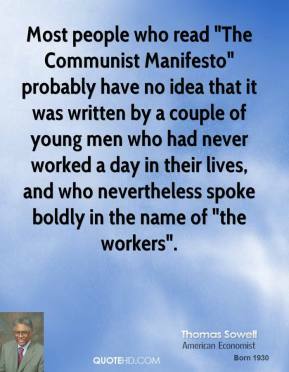 Most people who read "The Communist Manifesto" probably have no idea that it was written by a couple of young men who had never worked a day in their lives, and who nevertheless spoke boldly in the name of "the workers". 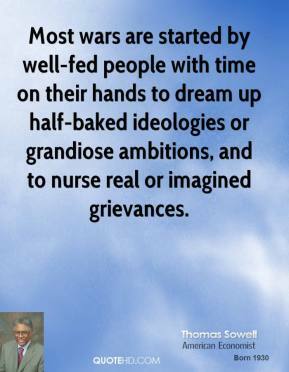 Most wars are started by well-fed people with time on their hands to dream up half-baked ideologies or grandiose ambitions, and to nurse real or imagined grievances. 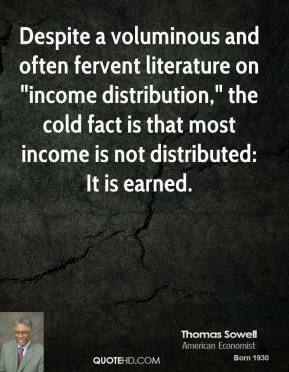 Despite a voluminous and often fervent literature on "income distribution," the cold fact is that most income is not distributed: It is earned. 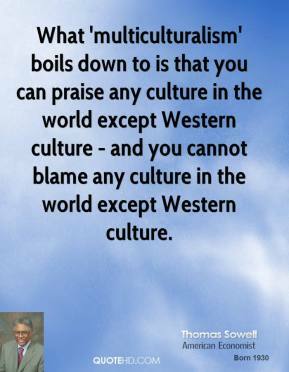 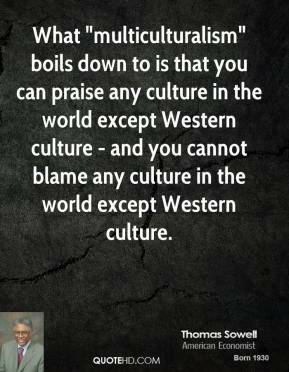 What "multiculturalism" boils down to is that you can praise any culture in the world except Western culture - and you cannot blame any culture in the world except Western culture. 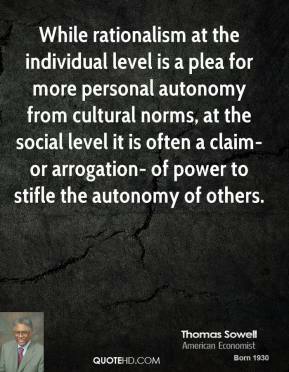 While rationalism at the individual level is a plea for more personal autonomy from cultural norms, at the social level it is often a claim- or arrogation- of power to stifle the autonomy of others. 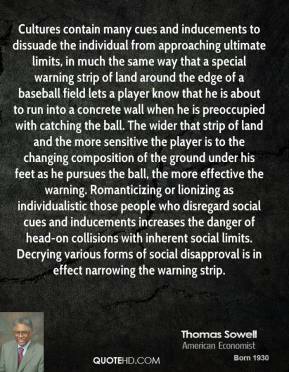 Cultures contain many cues and inducements to dissuade the individual from approaching ultimate limits, in much the same way that a special warning strip of land around the edge of a baseball field lets a player know that he is about to run into a concrete wall when he is preoccupied with catching the ball. 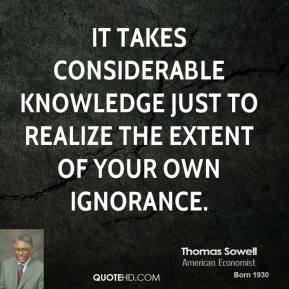 The wider that strip of land and the more sensitive the player is to the changing composition of the ground under his feet as he pursues the ball, the more effective the warning. 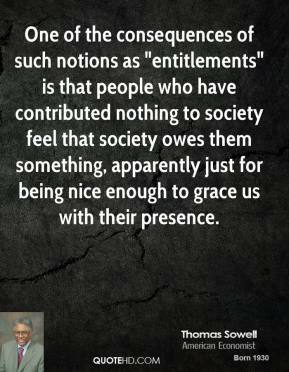 Romanticizing or lionizing as individualistic those people who disregard social cues and inducements increases the danger of head-on collisions with inherent social limits. 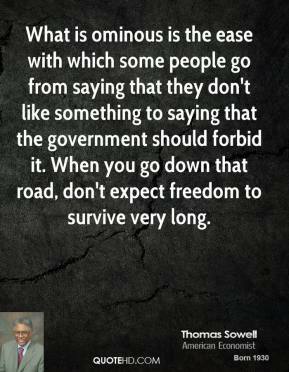 Decrying various forms of social disapproval is in effect narrowing the warning strip. 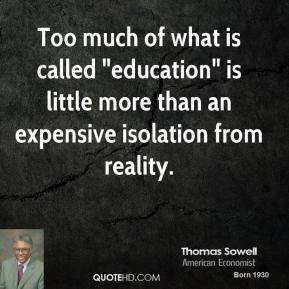 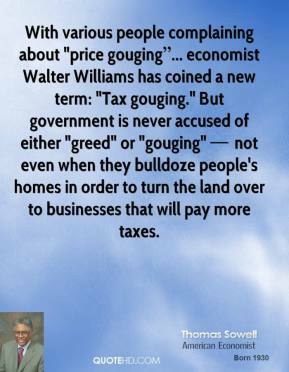 With various people complaining about "price gouging... economist Walter Williams has coined a new term: "Tax gouging." 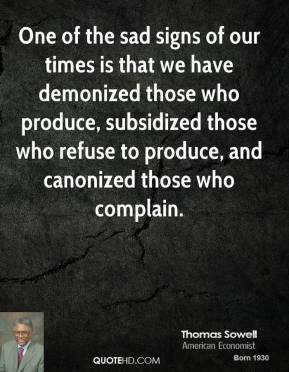 But government is never accused of either "greed" or "gouging"  not even when they bulldoze people's homes in order to turn the land over to businesses that will pay more taxes. 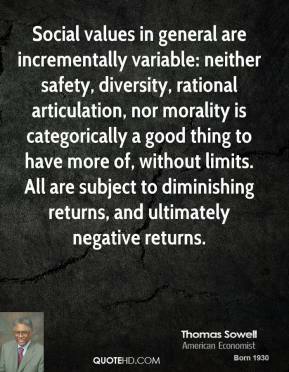 Given that some social processes must convey inherent constraints, the choice is among various mixtures of persuasion, force, and cultural inducement. 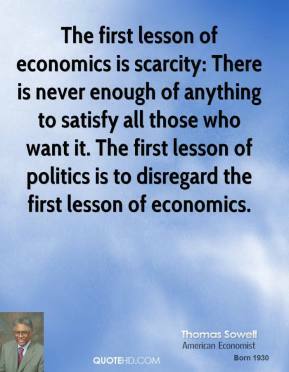 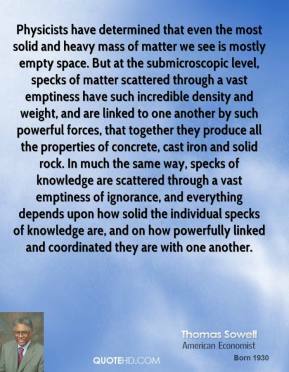 The less of one, the more of the others. 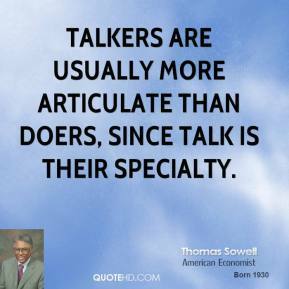 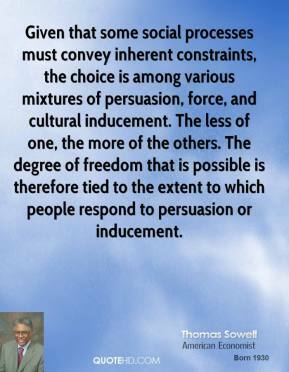 The degree of freedom that is possible is therefore tied to the extent to which people respond to persuasion or inducement. 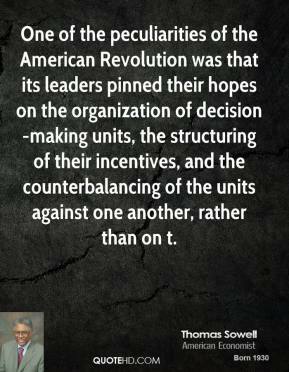 One of the peculiarities of the American Revolution was that its leaders pinned their hopes on the organization of decision-making units, the structuring of their incentives, and the counterbalancing of the units against one another, rather than on t.